We take pride in being one of the most experienced and highly professional teams in the field of refractive surgery nationwide. We offer Multifocal and Monofocal Refractive Intraocular Lens Implants such as the Zeiss trifocal, Pan Optix and Symfony intraocular lens. 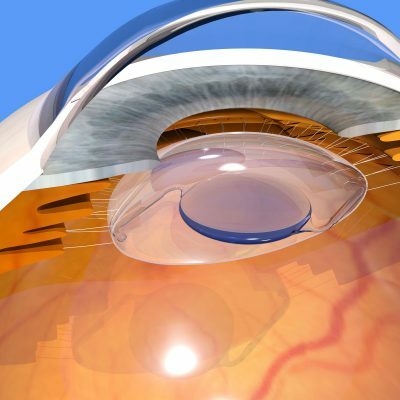 We provide the latest in laser assisted cataract surgery, using the innovative LensX Femtosecond laser. 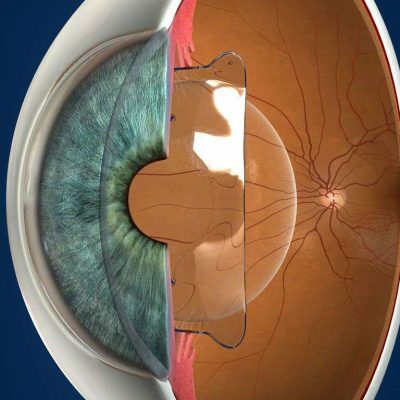 Extensive experience with phakic intraocular lenses and implantable contact lenses to improve the eye's natural focusing power. If you’ve been dreaming about a life independent of glasses or contact lenses, you’ve come to the right place. Here at WA Laser Eye Centre, we’re Perth’s premier refractive laser eye surgery clinic conveniently located in the suburbs of Nedlands and Melville. We are the only centre in WA to offer four lasers to correct your vision, including the 3rd Generation SMILE® laser. Our principal surgeon, Dr Robert Paul, has helped thousands of people achieve visual freedom and he can do the same for you too. At WA Laser Eye Centre, we take pride in being an industry leader in the field of refractive surgery, with one of the most experienced and highly professional teams in the country. With a commitment to providing the highest quality care using the latest and safest refractive techniques, our team are dedicated to ensuring the most superior outcome for each person. 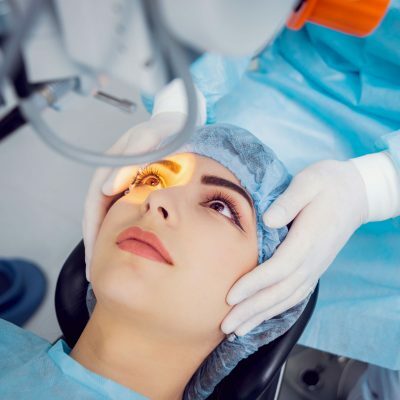 Being able to provide a variety of treatment solutions means some individuals who may have been previously unsuitable for laser eye surgery may now be able to undergo vision correction. Our achievements have not only set the standard for others in our industry, but they have also led to our untarnished and honourable reputation. We are home to some of the most experienced eye doctors and ophthalmologists, all of whom are specialists who can provide you with the laser eye treatment you need to correct your vision. Not many clinics in Perth can claim they were the first eye clinic in the Southern Hemisphere to use the fastest laser system in the world – the Wavelight EX500. As the experts in laser eye surgery, we believe our advanced technology is one of the reasons why we’re one of the leading clinics in the country. Our experienced team, along with our principal surgeon, Dr Robert Paul, are dedicated to providing you with the individualised care and corrective eye solutions tailored to suit your needs. If you’ve been thinking about laser vision correction and want a lifestyle independent of glasses or contact lenses, the first step is to contact us at WA Laser Eye Centre. Our experienced and caring team of eye doctors and specialists can organise a FREE appointment, answer any questions you may have and discuss your treatment options with you. It is a strong practice of ours to remind everyone that LASIK is an approved medical procedure and that patients should be careful of choosing low cost centres claiming to use the latest and safest technology. You may find these clinics utilise outdated techniques and at best, this can result in a prolonged recovery. Be sure to do your research and if you have any concerns about laser eye surgery, please do not hesitate to contact our friendly team of ophthalmologists today.